Ready to ROCK the rest of summer? Pick up a new Ruffle Choker Dress that regularly would cost you $32 for just $14.99. This Choker Ruffle Dress is feminine and flirty – just perfect for date night or any special occasion! 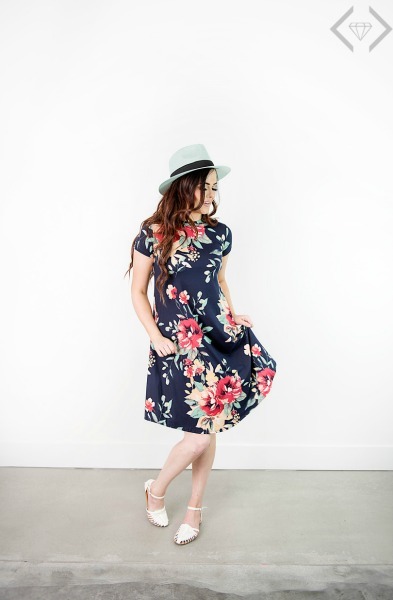 You are going to love this dress and how you can take it from a daytime outdoor party to an evening dinner date. Pair it will heels or sandals to create your favorite Summer look. It is the perfect dress! This sale is only for two days so don’t delay! Act fast to have better chances at the color and size you want. Shipping is $1.99 for the first item and only $.99 for each additional. At this price, you could get this killer look in every color! This entry was posted in Deals, Fashion on June 28, 2017 by Marissa Z. Best Jeans for Summer 2017! Now $15 off – Starting at $15! Summer is here!! That means its time to hear the sounds of summer on the radio, smell the sunscreen, and feel the beach sand between your toes. What makes it even better is getting easy, stretchy & comfortable summer bottoms for a steal! Right now you can find all the best colors, distressing, blue jeans, pretty much all your favorite looks on SALE. Prices start at just $15, with so many options being $20! It’s a must-see kind of deal! 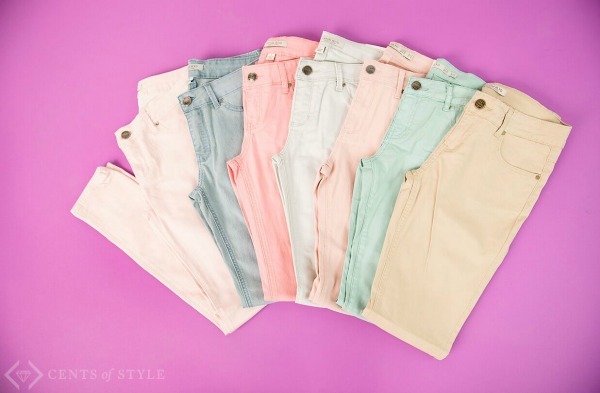 Save with coupon code is JEANSTEALSummer which will take $15 OFF the lowest marked price, with FREE Shipping! The code is valid Monday, 6/5 only! This entry was posted in Fashion on June 5, 2017 by Chrysa. Are you ready for April Showers to make way for MAY flowers?!? I know I AM! I’m ready to get the rest of the chilly weather out of here and start getting ready for summer and all the fun and sun that will bring. 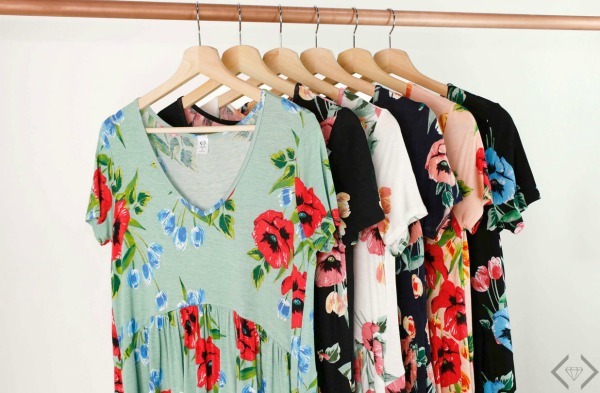 What better want to get a jump on our summer wardrobe planning than by jumping right on a hot new summer trend: Everything Floral! You can get started with Monday’s deal on all things FLORAL! It’s celebrating May Day in the best kind of way…with this season’s hottest prints in a whole lot of different styles. There are brand new tunics, skirts and favorites for crazy awesome prices. April Showers have brought the best kind of May flowers – the ones that stay all year long. 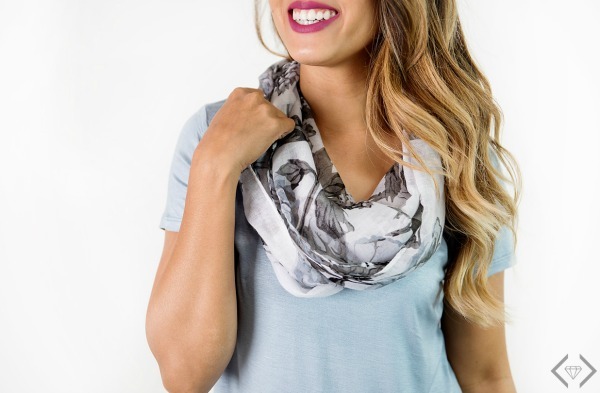 The deals start at only $5 with lots of floral scarves to choose from. HINT: These make a GREAT Mother’s Day gift! 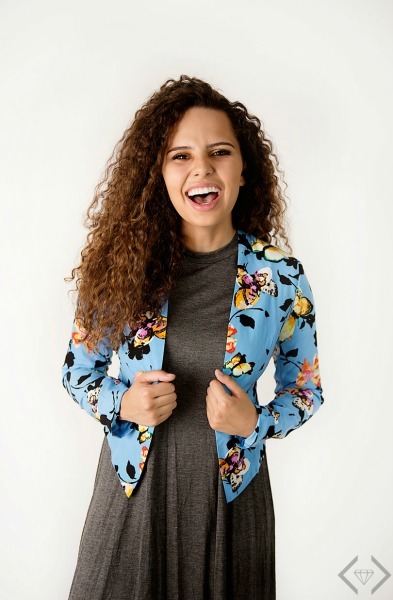 This blazer is just what you need for a floral POP and it’s Just $15! 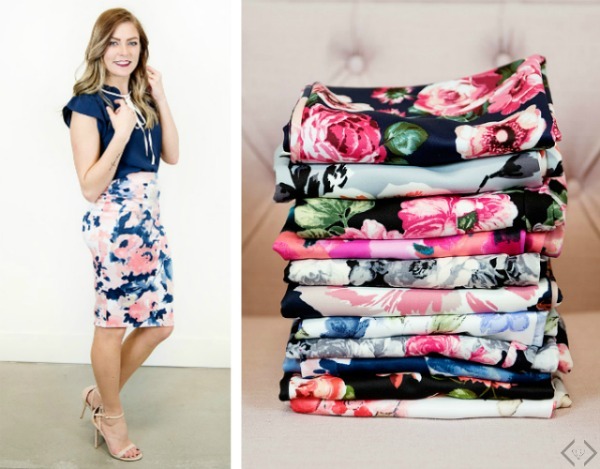 And don’t miss the brand new pencil skirts for just $20. These have been a best seller – they are versatile, comfy & right on trend. How about a dress? Talk about the must-have for this season..they have the best patterns and styles…and all in one place and on sale! Tunics make any outfit easy and are all the rage this Spring and Summer. 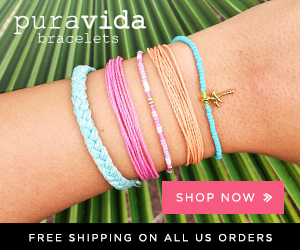 Check out the brand new styles you just have to see! Don’t forget your feet! 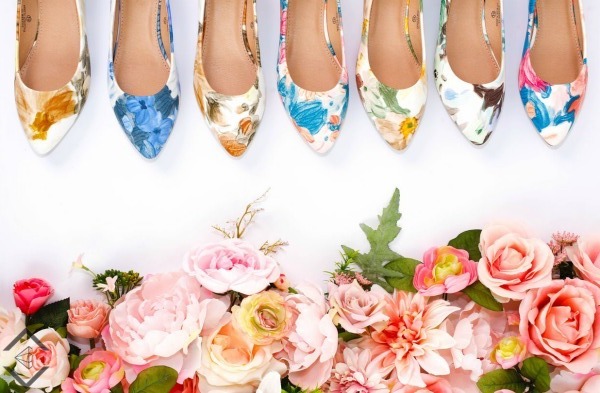 There are some ADORABLE floral shoes to choose from! The May Day Florals sale is valid Monday, 5/1 Only! Use code FLORALSTEAL at checkout to get the discounted prices. This entry was posted in Fashion on May 1, 2017 by Chrysa. I received a copy of this book from the publisher for review purposes. 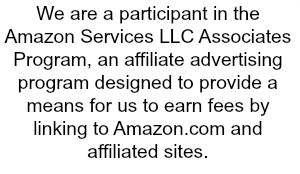 Opinions are my own.All of our posts may contain affiliate links. Do you ever see a book that is intended for kids, but it is so awesome you just have to have it for yourself? I can answer that as “Yes, frequently” and that’s exactly what happened when I saw The Complete Book of Fashion History by Jana Sedlackova. It’s a stylish journey through history and the ultimate guide for being fashionable in every era – AND a lot of fun! Travel through time and learn about the most popular fashion trends in history! Explore world history and culture through the lens of fashion with The Complete Book of Fashion History. Travel through time and learn about the most popular fashion trends in history, from the animal furs of prehistory to the golden crowns of ancient Egypt. Why did French aristocrats powder their hair? And why did Scottish soldiers wear kilts? From buttons to zippers and leather sandals to high heels, young fashionistas will learn how fashion is often influenced by what’s happening in the world around us. 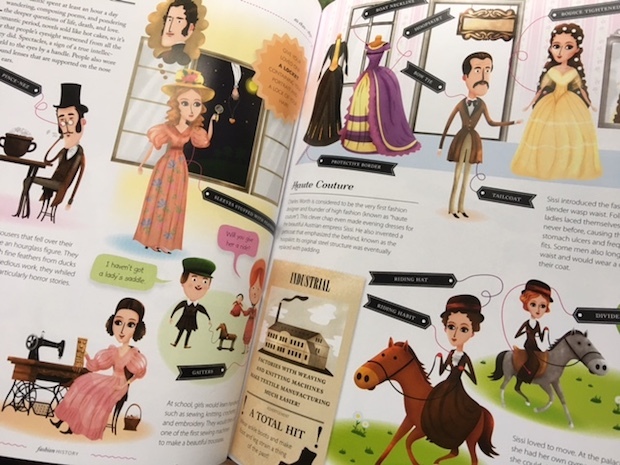 With colorful, engaging illustrations and fascinating historical facts, this quirky historical reference, geared toward young fashionistas, encourages discussion among children and their parents about different cultures and fashion trends through history. I love that the book is packed with interesting facts and tidbits not only about WHAT people wore, but why the wore it, how it was made, and the stories behind particular trends. Plus, the illustrations are amazing with lots of fun details on every page. 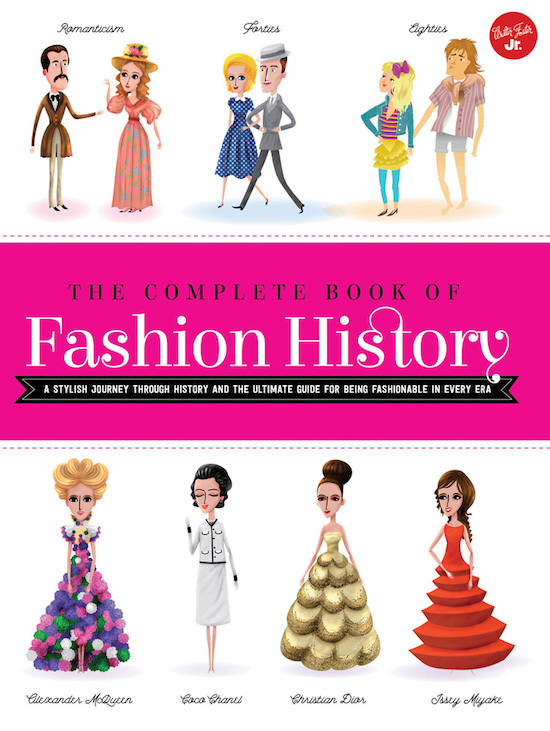 Reader Giveaway: One lucky Jinxy Beauty reader will win their own copy of The Complete Book of Fashion History . To enter, just complete the entry form below by 11:59pm ET on 5/22/17. Good luck! This entry was posted in Fashion, Giveaway on April 27, 2017 by Chrysa. If you happened to see any photos of Kate Middleton awarding medals this weekend at The Virgin Money London Marathon, you may have noticed her sneakers. 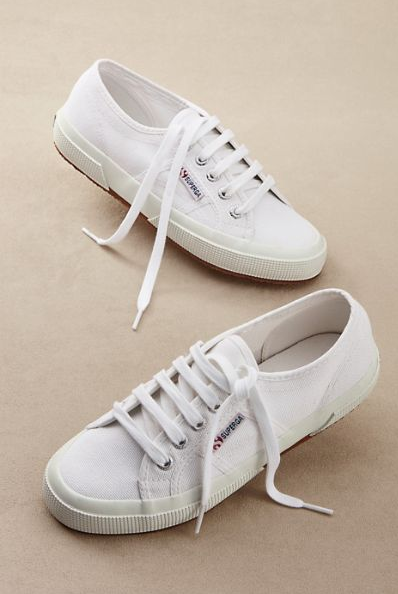 They are the same super-comfy shoes adored by models when they have a chance to step out of the high heels – Superga Classic Sneakers. It’s not a surprise to see her wearing them, because they are super comfy while still being stylish in classic white cotton. They’re perfect for watching runners at the marathon or for running your own errands around town. What’s even better? They are NOT pricey! They retail for $65, but you can get them for less – as in only $37.99 here. I’m totally not surprised to see Kate wearing such a reasonably priced shoe, and why not? They look great! This entry was posted in Fashion on April 24, 2017 by Chrysa. 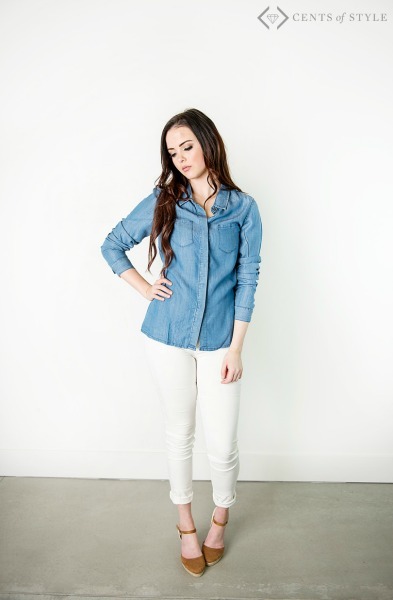 This spring, the denim trends are coming in strong! In everything from dresses to shoes to distressed jeans, denim is a staple that can’t be missed. There are so very many ways to wear it that your personality can shine through in every outfit you put together. 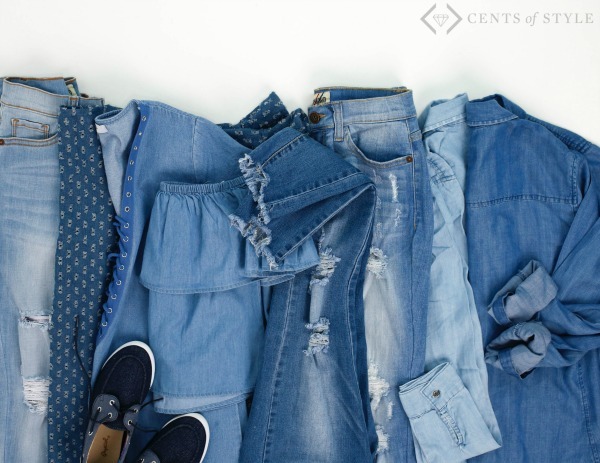 Style Steals this week will have all the denim items you need for the season and for every occasion. The fabulous 40% discount makes this deal impossible to pass up! Check out the dresses for under $20, sandals under $18, shoes for under $21, and jeans starting under $21…basically, it’s all pretty amazing! This entry was posted in Fashion on April 3, 2017 by Chrysa. Target has a great track record for partnering with top designers and this time they are teaming up with Victoria Beckham! She will bringing her unique designs to an all new collection exclusively for Target. Inspired by the upbeat charm of her own Victoria, Victoria Beckham line, she celebrates the shared experiences between herself and her daughter. That inspiration has resulted in a look that’s fashionable, yet free-spirited and timeless. Her line includes more than 200 pieces (for Women, Girls, Toddler and Baby) featuring soft pastels, bright pops of color and charming spring prints. You can check out the lookbook already and get ready to shop the Victoria Beckham Target collection, available April 9. This entry was posted in Fashion on March 16, 2017 by Chrysa. 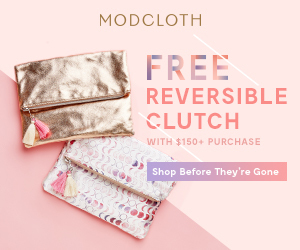 ModCloth Stylish Surprise Event – Mystery Items All Under $20! 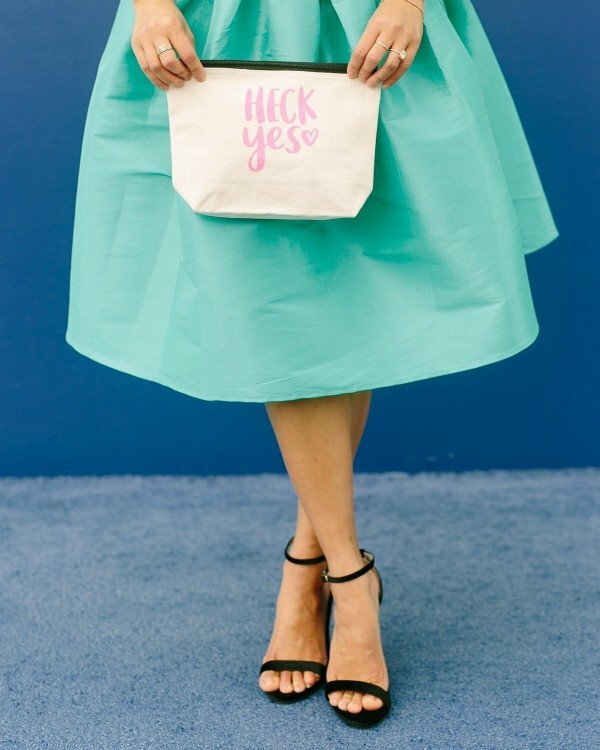 It’s time for another ModCloth Stylish Surprise event, starting at 8am EST 3/6, and it’s set to be their biggest one EVER! You can stock up on marvelous mystery items for $20 or less – but only while supplies last! They have dresses, shoes, decor, and more. Dresses are $20, separates are $15, shoes and decor are $10, and jewelry is only $5! Which awesome pieces will you score? There is no coupon code necessary. All you have to do is add a Stylish Surprise item to your order and wait until your awesome treasures arrive on your doorstep! This entry was posted in Fashion on March 6, 2017 by Chrysa. 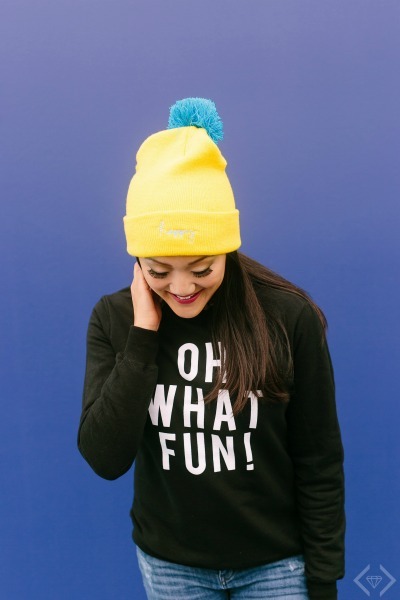 Designer Amy Tan has created the Oh What Fun collection filled with bright colors, fun items you can put to use yourself or make someone’s day as a gift and stuff that just makes us happy! These are things to brighten up these Winter days and they make us feel a little brighter. Some are unexpected, some are classic, and all are right on trend this season. 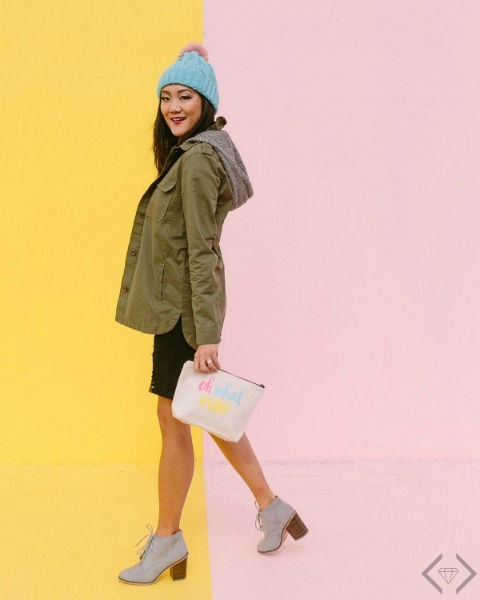 The prices are already so reasonable and right now Cents of Style is offering another 25% off which provides crazy good pricing – – we’re talking a utility jacket for under $20, a sequin skirt for under $18, accessory bags under $10, a graphic tee under $15! We love these big, bold brightly colored taffeta ball skirts! You’re going to be the hit of every part East OR West of the Mississipi. These gorgeous taffeta midi skirts can be styled so many different ways and worn all year round. To take a more casual turn we love the Oh What Fun Sweatshirt. Amy says, “This sweatshirt epitomizes what I wanted my collection for Cents of Style to represent—plain & simple fun! Grab this piece and add it to your look- from bright to boring- and make something fun happen!” Do you know how to make every situation fun? Whether you are running the carpool, cleaning the house, or having a night on the town, you know how to enjoy every second of it. Show it off with this bold sweatshirt that pairs with your favorite joggers or skinnies. So you can enjoy the next experience that comes up. 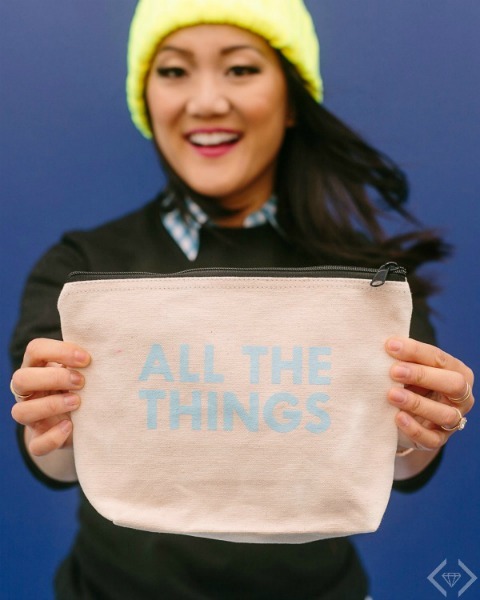 How awesome is this All the Things Cosmetic Bag?!? “You know you want ‘em, you have to have ‘em—you love all the things!” says Amy. “This cute cosmetic tote is perfect for hauling your ‘essentials’ to and fro. I love the ease of throwing my pencils, stickers and fun tapes in this clutch for fun days away and journaling through it!” It’s all the things in the world. Your make-up takes you from casual to fancy with the flick of an eyeshadow. Keep all of your cosmetics in this ultra durable canvas bag with plenty of space for all of your essentials. With a printed “all the things”, you can keep your eye shadow nearby and change your day. The collection is always a great deal, but today 1/23/17 you can get an additional 25% OFF the lowest marked price, + FREE SHIPPING with code FUN17. The code is valid 1/23/17 only! This entry was posted in Fashion on January 23, 2017 by Chrysa. And if you still feel the need to supplement your winter wardrobe a bit, now is the time to do it because ModCloth is offering a HUGE clearance sale with prices up to 70% off now through 1/16. Maybe you could toss a cozy sweater over one of your new spring dresses until the weather warms up a bit! This entry was posted in Fashion on January 9, 2017 by Chrysa.